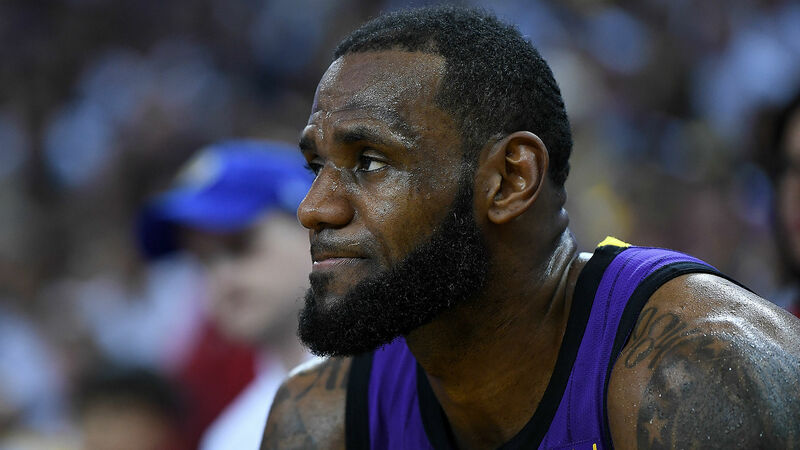 Los Angeles Lakers star LeBron James is still not ready to return. The 34-year-old, who has been out since straining his groin on December 25, will not play in the Lakers' game against the Minnesota Timberwolves on Thursday, coach Luke Walton told reporters. James was cleared to return to practice this week and participated in drills on Wednesday. But, he has yet to take part in full-contact workouts, according to ESPN. Walton, however, did not rule out James being on the court for Los Angeles' matchup with the Phoenix Suns this weekend. "It's going to be, again, how he's feeling tomorrow morning," Walton said. "Take it from there and see how he's doing the next day after that and the next day." James originally suffered the injury in the third quarter of the Lakers' win over the Golden State Warriors on Christmas Day. He met with trainers on the court, appeared to tell them he "felt it pop" and then headed to the locker room without assistance. James underwent an MRI the following day and said on Twitter he "dodged a bullet". But, he has missed the Lakers' last 14 games. Los Angeles (25-23) are 5-9 in his absence. Los Angeles signed James to a four-year, $153.3million contract in July. He is averaging 27.3 points, 8.3 rebounds and 7.1 assists in 34.6 minutes per game this season.